“You may have a pink Cadillac, but don’t you be nobody’s fool,” Elvis sang on Baby, Let’s Play House. He did, and he wasn’t. 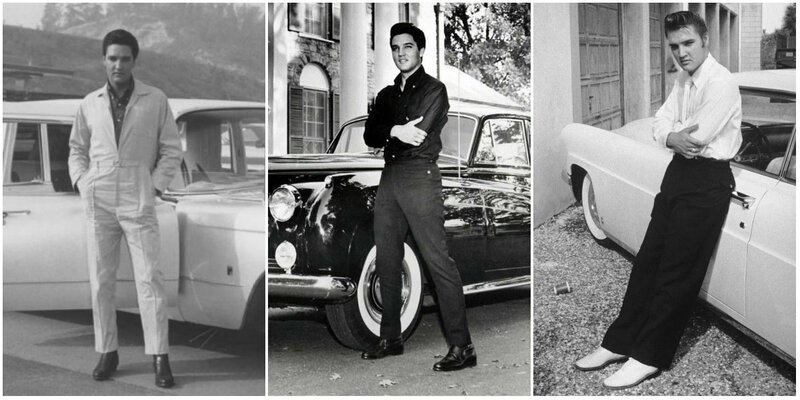 The King amassed a collection of rare cars that would leave many a motorhead drooling with envy. 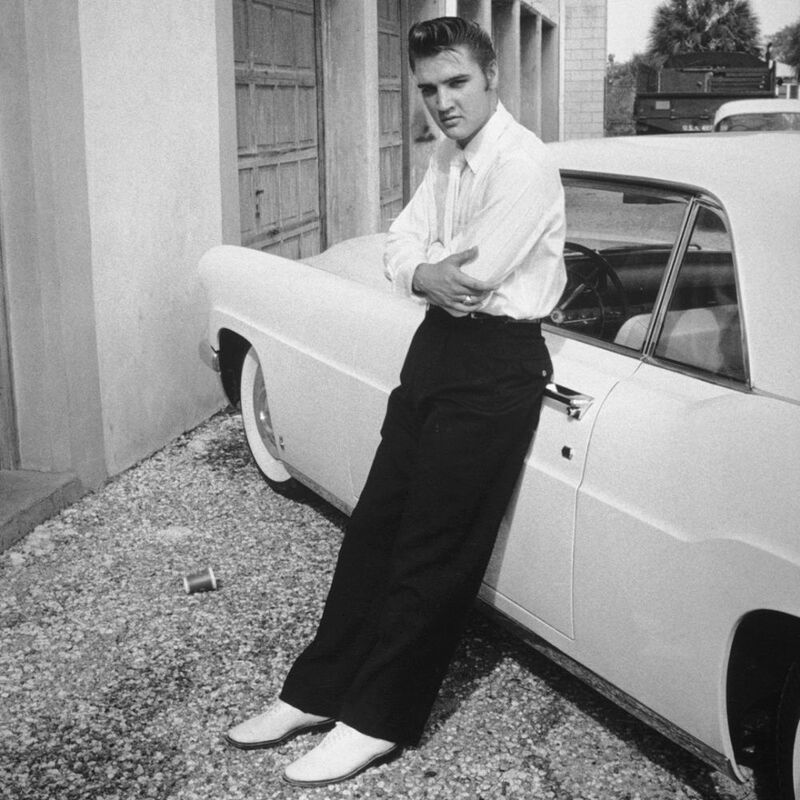 Not only was Elvis a keen car collector, he was known for his generous automotive gifts he bestowed on friends and family – he bought his mum a famous pink Cadillac and gave some of his other Caddies to backing singers and even his dentist. He also gave one of his BMW 507s to Bond girl Ursula Andress. The other, which he drove while he was stationed in Germany, has just been unveiled, fully restored to it’s original form and color, as Elvis turned it Porsche red to try and stop girls writing their phone numbers in lipstick on the body paint. 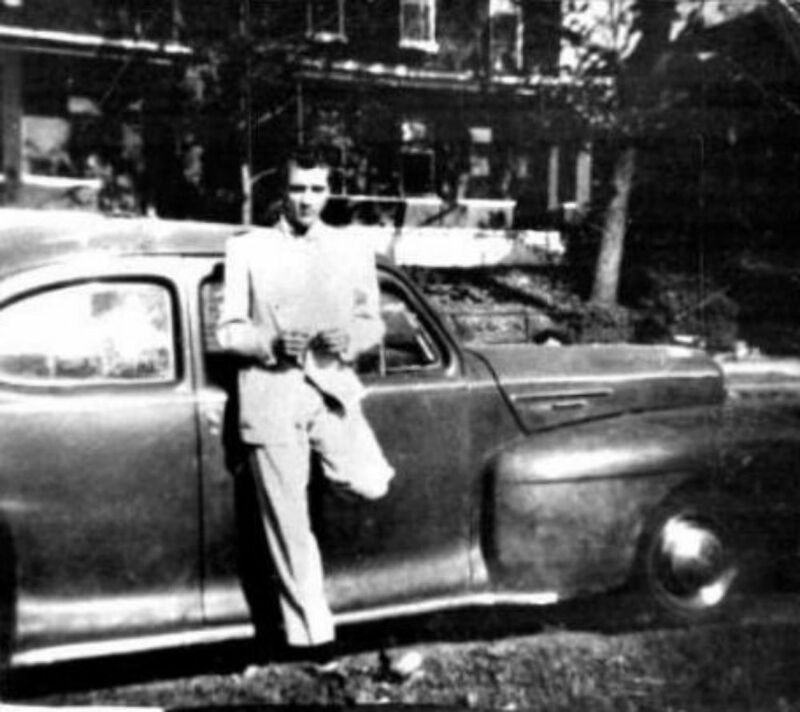 Here we take a look at some of his much-loved automobiles. Elvis with his first car, 1942 Lincoln Zephyr Coupe, the photo was taken in front of his home at 462 Alabama Avenue in Memphis. Elvis in a 1955 Messerschmitt KR 200. It was a three-wheeled, two-seated bubble car built by a German aircraft manufacturer. 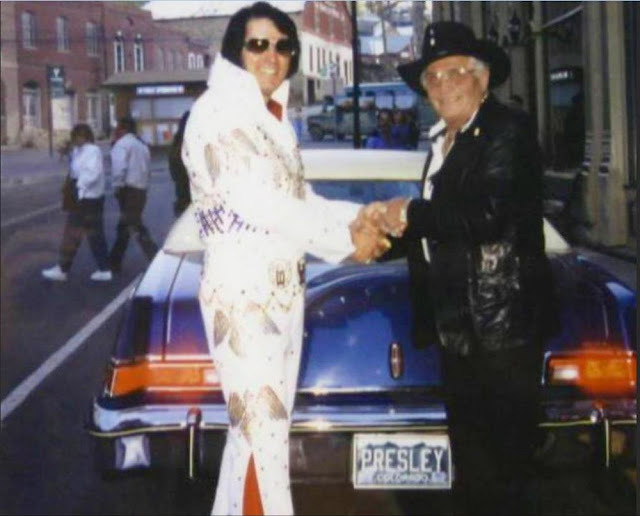 Elvis’s was eventually traded to Guy Lansky of Lansky Brothers in Memphis, in exchange for a three-hour shopping spree. 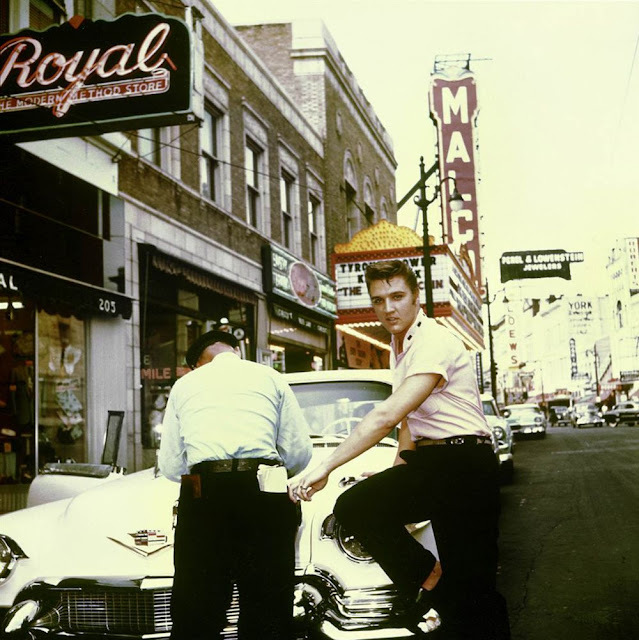 Elvis and a 1956 Cadillac Eldorado in this shot from Hollywood taken in 1957. 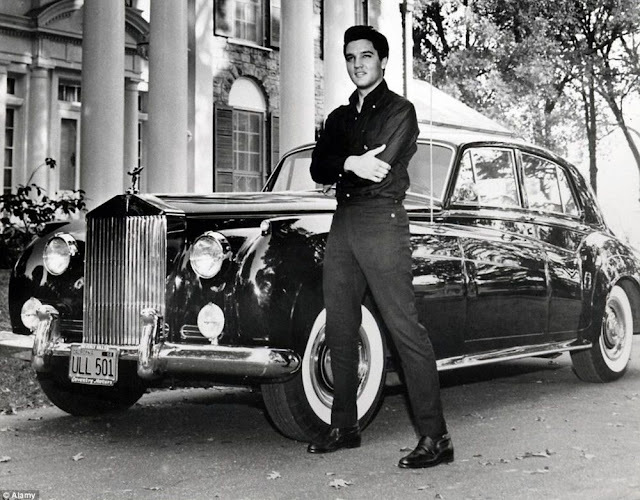 Elvis and his 1956 Lincoln Continental. 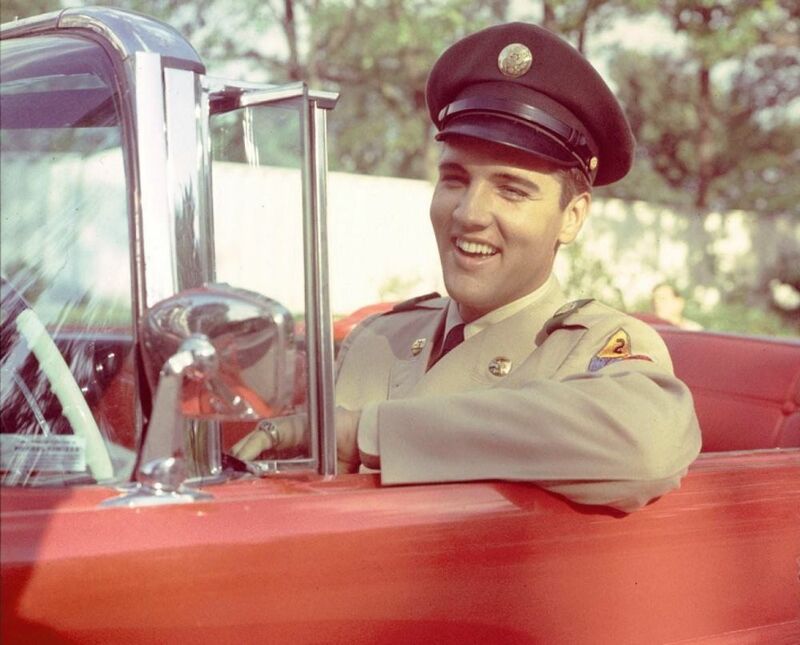 Elvis sits behind the wheel of a red car, returning home for two weeks after basic training in June of 1958. 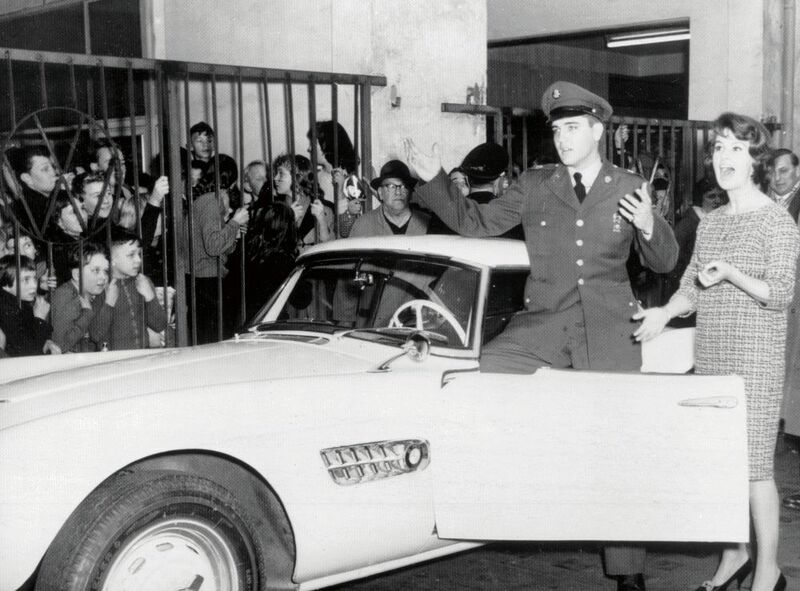 While deployed in Germany in 1958 during the Vietnam War, Elvis leased a white BMW 507 with a red interior. 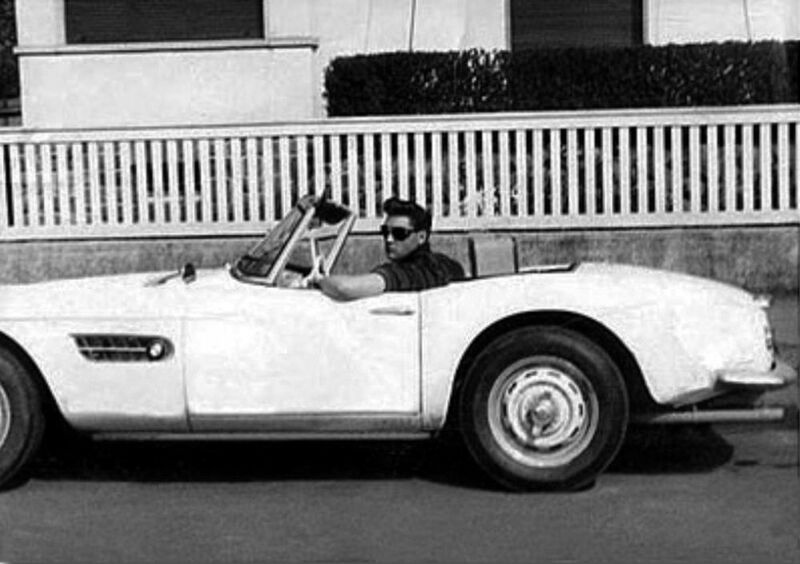 Elvis Presley with his 1958 BMW 507. This 1956 Cadillac Eldorado started life as a white car, but legend has it that Elvis walked in to a Houston dealer armed with a bunch of grapes and told the customizer that was the color he wanted. 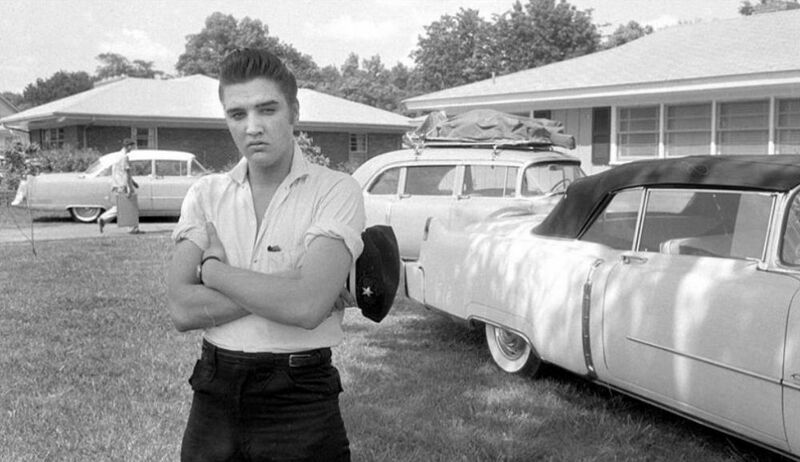 This photo was taken outside the Audubon home after Elvis had returned from a tour, 1956. Notice the band’s gear still strapped to the car in the background. The Pink Cadillac is behind Elvis, too. 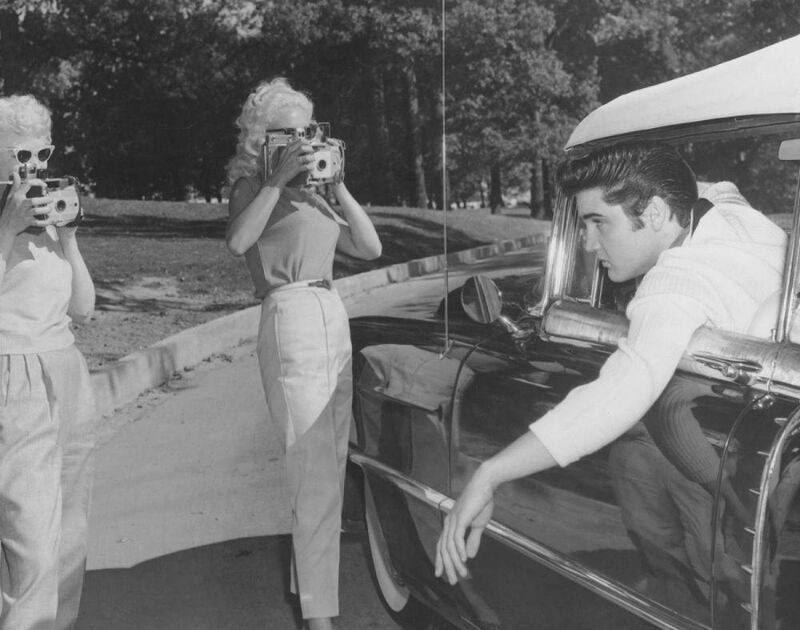 Elvis with his BMW 507 and local TV personality Uschi Siebert in Germany, 1958. Always the ladies’ man, Elvis poses for two women with cameras in the driveway at Graceland while behind the wheel of his 1956 Cadillac Eldorado convertible. 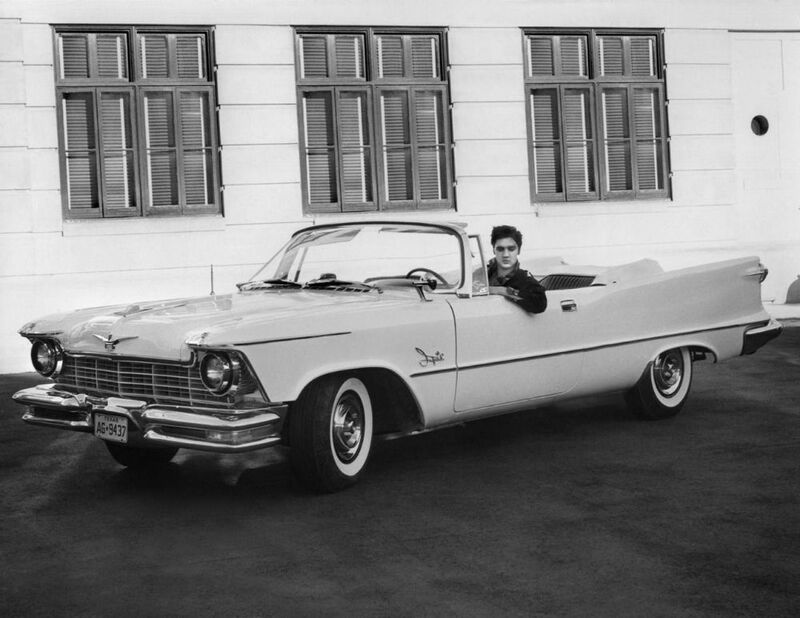 Elvis in one of his pink Cadillacs. 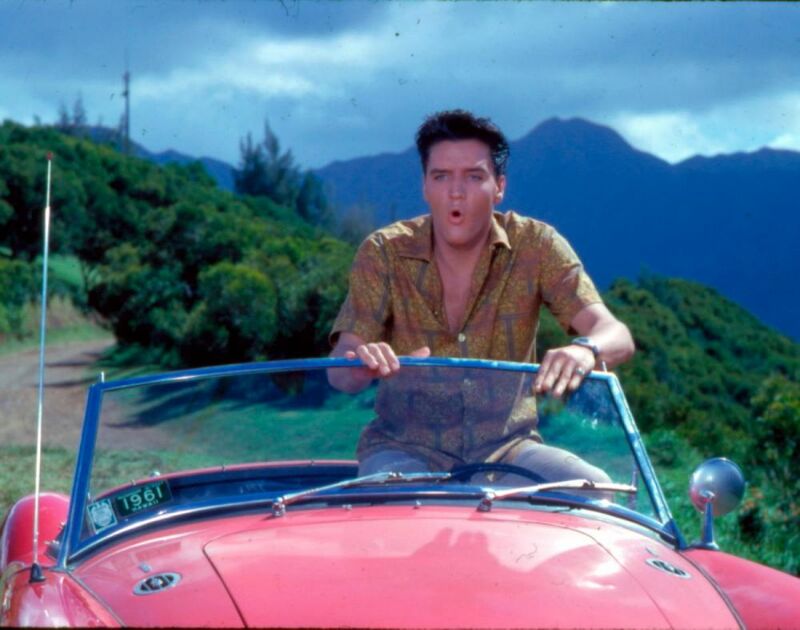 Elvis in a 1960 MG MGA in this still from 1961’s Blue Hawaii. Elvis and a 1960 Cadillac Series 75 Fleetwood Limousine. 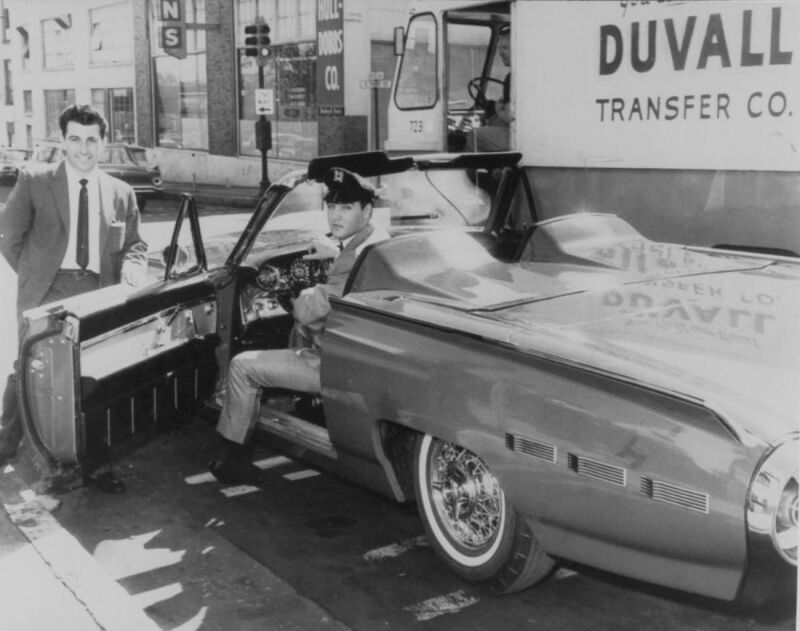 Dubbed the “Gold Cadillac,” this was the ultimate luxury car for its time, complete with a telephone, refrigerator, record player, tape deck, swivel TV, and shoe buffer. For anyone on the outside, its opulence wasn't to be missed, as the car's hubcaps, grille, and headlights were all plated in 24-karat gold. Elvis in a 1962 Ford Thunderbird Sports Roadster. 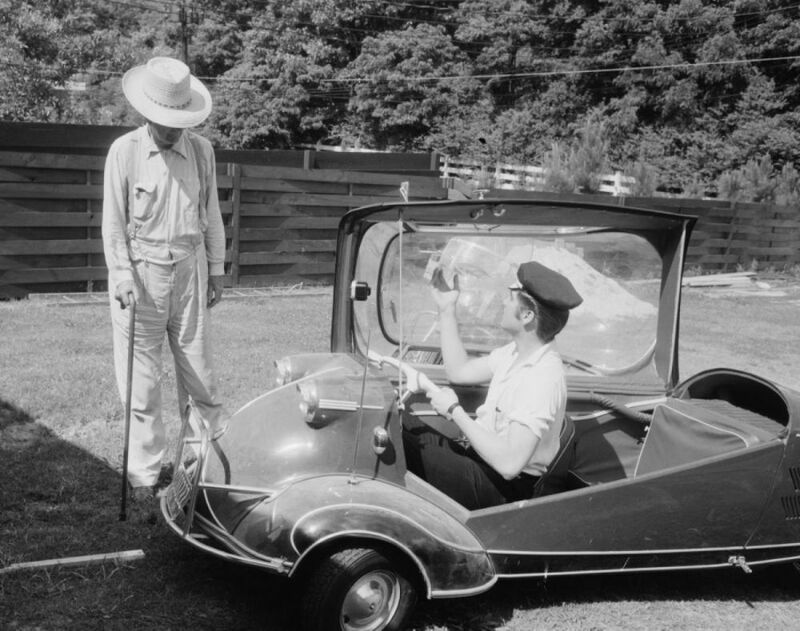 He bought this 1962 Ford roadster in Memphis for $6,284. 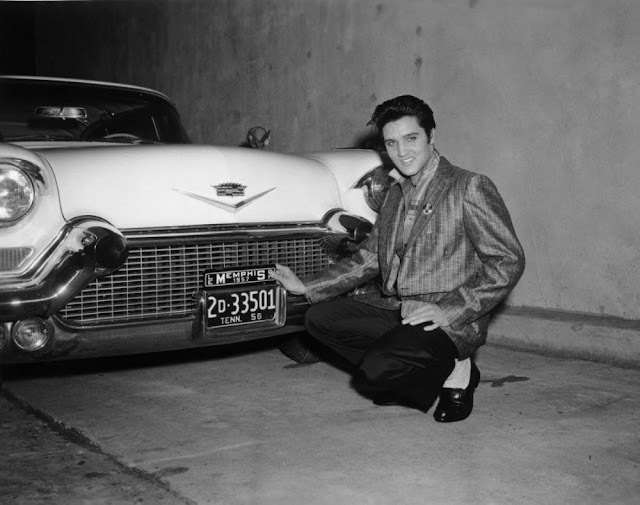 The car was then driven by members of his entourage to California for the King to use for transportation while filming his movies. 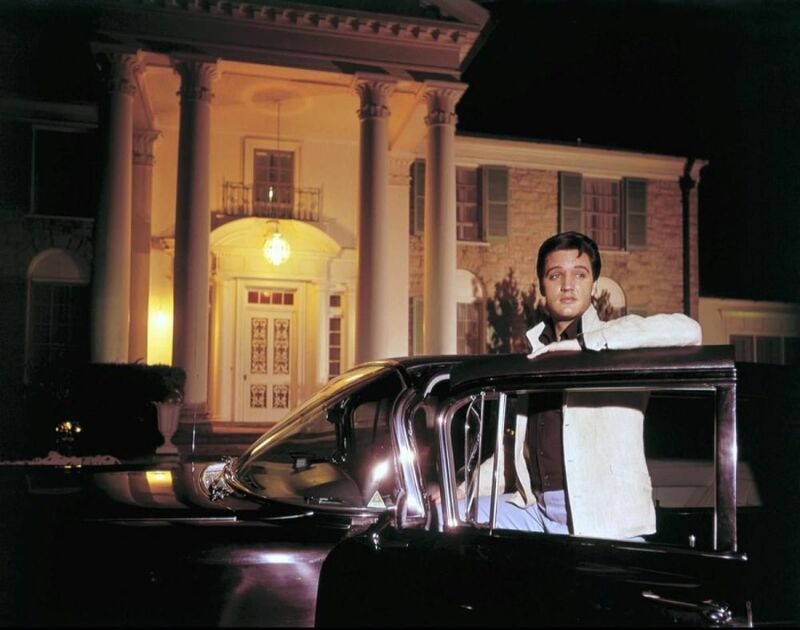 Elvis with his Phantom Rolls Royces, which he bought in 1961, outside his Graceland mansion. Elvis behind the wheel of a 1962 Elva Mk. 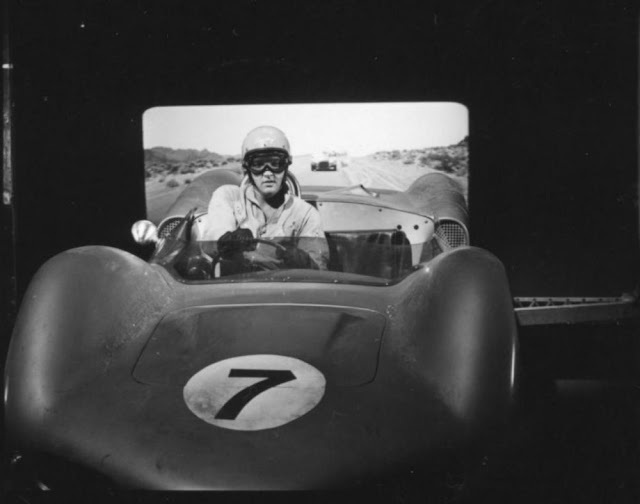 VI with a video backdrop comes from the filming of 1964’s Viva Las Vegas. In 1965’s Tickle Me, Elvis played unemployed rodeo bull-rider Lonnie Beale. 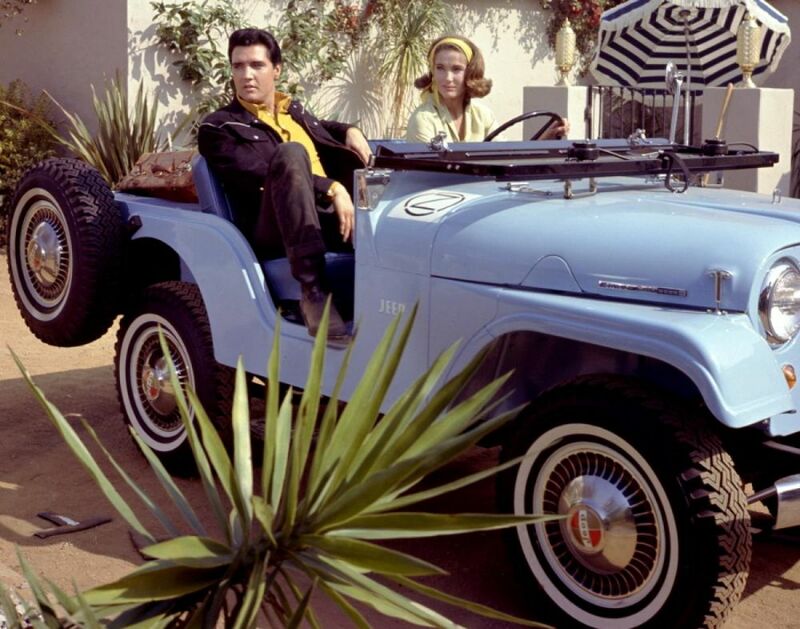 Here, Elvis poses with actress Jocelyn Lane, who portrays his character’s love interest Pamela Meritt, as she’s behind the wheel of a blue Jeep. 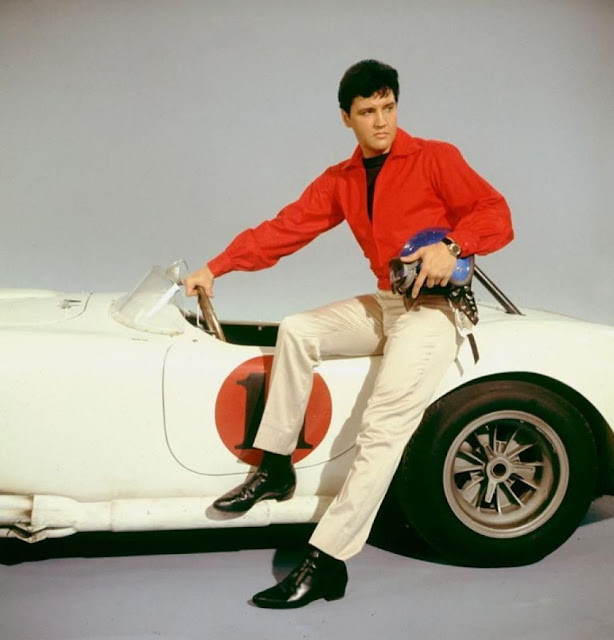 Elvis poses in the press shot for 1966 film Spinout with a 1966 AC Cobra 427. 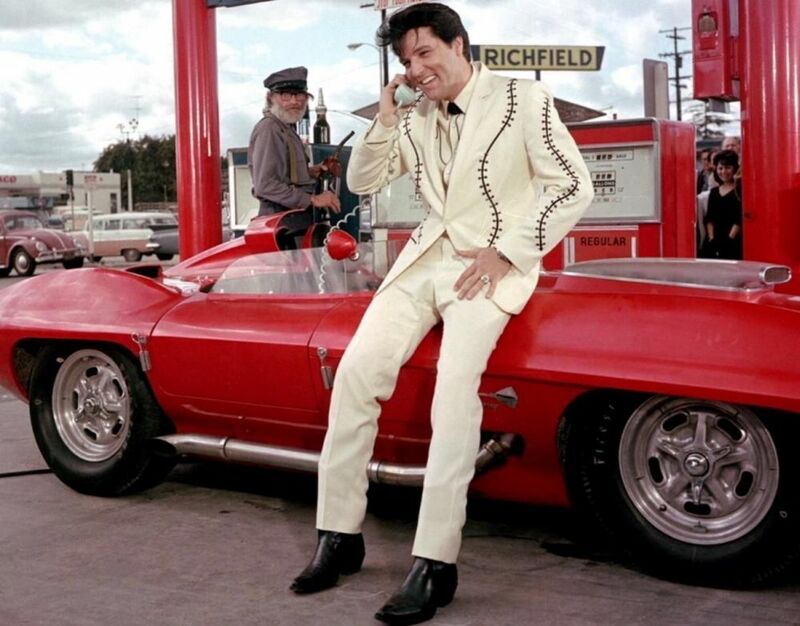 This cherry-red 1959 Chevrolet Corvette Stingray Racer featured in Presley’s 1967 musical, Clambake. And it’s a (very) early car phone! 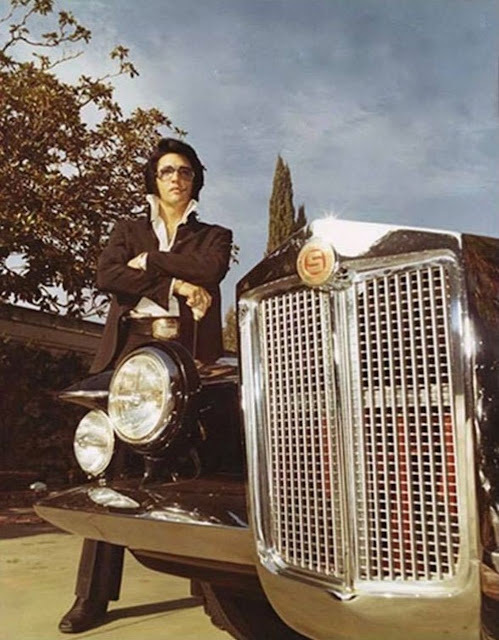 Press photo of Elvis with his first Stutz Blackhawk on October 9, 1970. 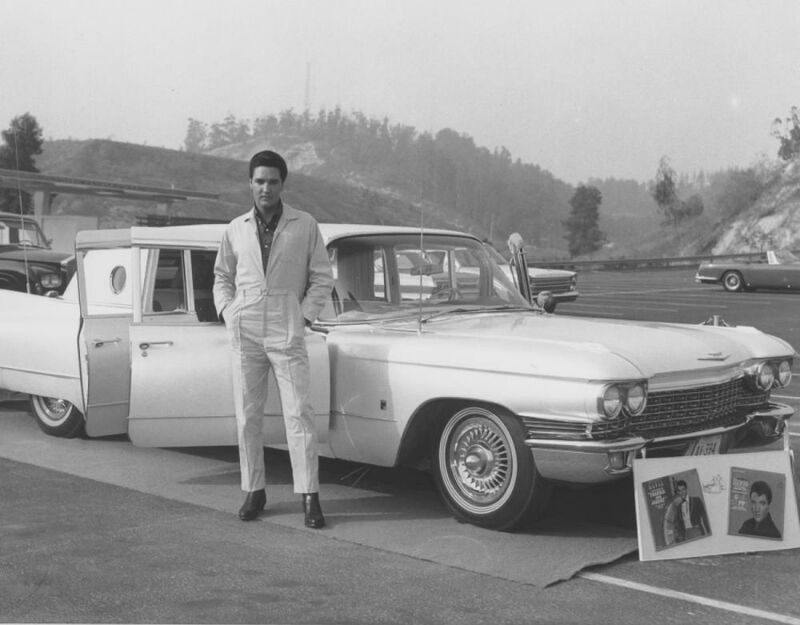 Elvis Presley with his 1975 Lincoln Mark IV.